Soon after you’ve decided on the marriage date, the next thing that comes to your mind is booking the venue. Well, even if it does not come to your mind, you should start the hunt for your favorite venue as it can go available to unavailable pretty soon. Gone are the days when you simply selected a hometown banquet hall and its done and dusted. With families looking to make their celebration a grand affair, with all the facilities on point, finalizing the banquet hall is definitely not an easy task. Chembur is one of the most developed suburbs of Mumbai and has seen a growth not only in real estate development, but also population. Its easy connectivity to Central, as well as Western suburbs, makes it is on the hot list of most families who reside on the Central line. Here we are with our top banquet hall in Chembur that you can consider booking for your wedding celebration. Omega Banquets, Chembur, one of the swankiest banquet halls in Chembur, Omega is a wedding venue offering services that will amaze you. 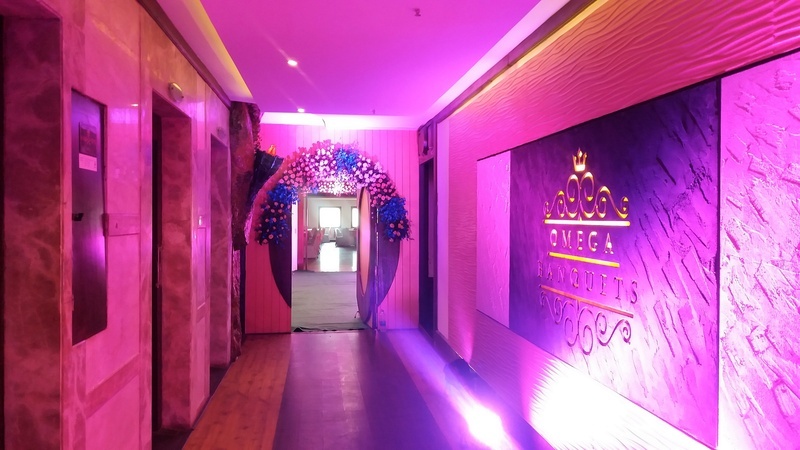 An award-winning banquet facility in the heart of Mumbai, the owners of Omega Banquet Hall have a combined experience of more than 30 years in events, banqueting and catering business. It enjoys a strategic location and is a premium multicultural banquet hall in Mumbai with a guest capacity of 100 to 2000 guests. When it comes to food and catering services, they have the best in store. The caterers here have been in the industry for more than a decade now. Hence, your guests will be in for some lip-smacking delicacies. Elegantly designed banquet halls are endowed with bright light flooding in through the decorative ceiling. It has Level 1 and Level 2 parking making it hassle-free for your guests. Enjoy customized services and impeccable hospitality on your big day when you host it at Omega Banquets. No event is a successful one without great food and service, Omega takes pride in the superior quality of food that they serve and the warm hospitality of their staff. Get more banquet halls in Chembur at Weddingz.in at best deals possible!